Dr. Antonio Ronaldo G. Fabian has joined the team of Family Medicine experts, all who are devoted to the management and well-being of people of all ages. Common services include family counseling, vaccinations, fertility testing and asthma diagnosis. Dr. Fabian brings with him over two decades of experience in the treatment of common health issues in the UAE such as diabetes, stress-related illnesses and allergies. Well versed with all aspects of family medicine, he has been on the physician’s panel of the U.S. Embassy and leading organizations such as the Hyatt Group of Hotels. Closely connected with the Kabayan community, Dr. Fabian devotes a large part of his free time to voluntary service by providing complimentary medical care to the community. 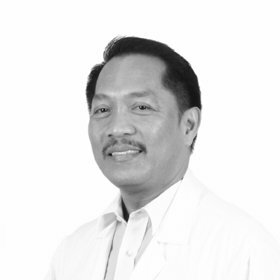 Having a sound cultural understanding of the Filipino characteristics, Dr Fabian is keen to extend his medical knowledge to helping maintain optimum health and wellbeing among the Filipino expats living and working here in Dubai. As a family man himself, he has a passion for helping families live healthy and happy lives. Dr Fabian’s appointment is part of Amber Clinics’ strategy to introduce a new team of highly skilled physicians and experts to their healthcare network. Amber clinics have created a vision for quality, accessible healthcare, managed by extremely proficient teams of quality supervisors, nurses, technicians and specialist doctors of international standard and caliber.